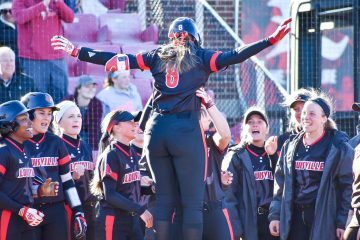 The University of Louisville softball team has earned will travel to Columbia, Mo. to face Nebraska in the first round of the 2016 NCAA Championship on Thursday, May 19 at 5:30 p.m. (ET) at the University of Missouri’s University Field. Missouri (39-14, 14-10 SEC) earned the No. 15 overall seed and will play BYU (35-19, 12-3 West Coast) in the other first round game at 8:30 p.m. (ET). The games will be shown on ESPN2. The winner of the Columbia Regional will advance to a Super Regional to play the winner of the Ann Arbor Regional which features Michigan, Notre Dame, Valparaiso and Miami (Ohio). The Cardinals are making their 13th straight NCAA appearance after posting a 35-15 overall record and a 15-8 mark to place second in the regular season. 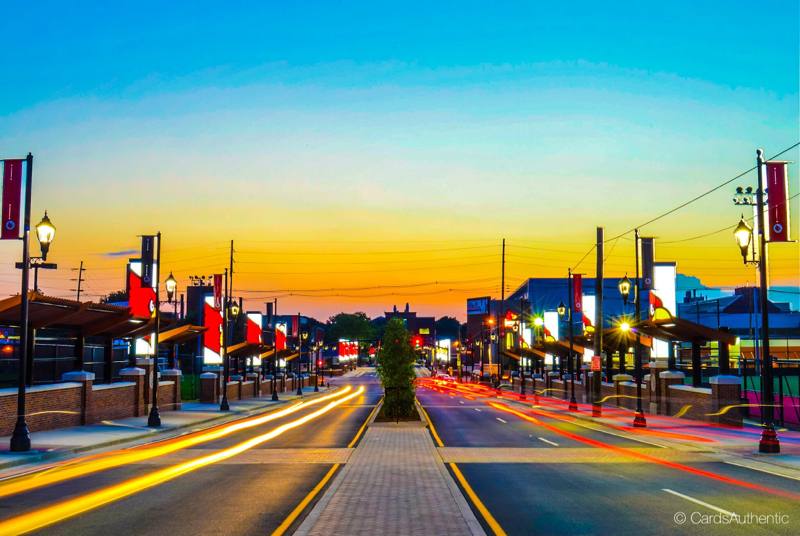 Louisville advanced to the semifinals of the 2016 ACC Championship. This marks the second straight year the Cards will open NCAA regional play in Columbia, after playing there in 2015. Last season Louisville fell 1-0 to Kansas and 2-1 in eight innings to Indiana State. 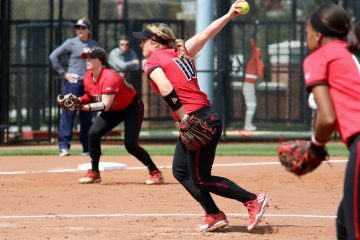 Nebraska (33-19, 13-9 Big Ten) earned an at-large bid after losing 8-7 to Penn State in the quarterfinals of the Big Ten Tournament. Louisville and Nebraska have met twice this season at the ACC/Big Ten Challenge which was held Feb. 19-20 in Raleigh, N.C. The Huskers used an RBI single in the bottom of the seventh to win game one 4-3 and won the second meeting 3-0. 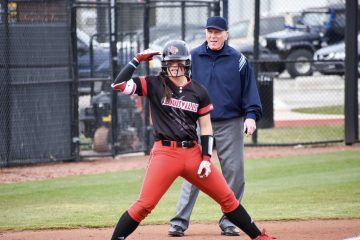 Louisville is led by two-time All-ACC first team and 2016 All-ACC Tournament selection junior Maryssa Becker (Medford, Ore.) who carries a .397 batting average and holds the school single-season RBI record with 58. 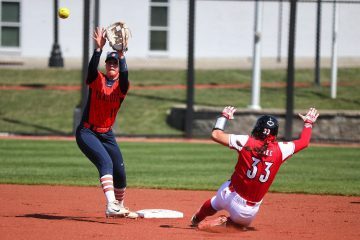 Fellow All-ACC Tournament team member sophomore Sidney Melton (Columbus, Ohio) is hitting .359 and leads the team with 42 runs and 15 stolen bases. Freshman Megan Hensley (Ashland, Ky.)stands third on the team with a .342 batting average and a team-best 13 home runs to go with 52 RBIs and picked up All-ACC second team honors. Junior outfielder Jordan McNary (Madisonville, Ky.) and senior third baseman Hailey Smith (Bristow, Va.) were also named to the All-ACC second team. Head coach Sandy Pearsall is in her 17th season at the helm. Since starting the program in 2000, she has led the Cardinals to six conference championships and 13 NCAA appearances. Pearsall has a 653-330 overall record at UofL and a 903-664 tally in her 30th season as a head coach.